Well, Happy New Year to everyone, this is my first post for 2018 seems ages since our last challenge before Christmas. I am hosting this challenge #204 and I have chosen Fussy and Fancy as my theme. it is a nice easy one to start the New Year it is really Anything Goes as long as it is Fussy and Fancy. It is a very simple card using Sara Davies Flutterby Die to give me the cut in feature then I added some more butterflies .... well you cannot have too many can you? I also made some tiny flowers using my favourite Sue Wilson Poppy dies, the background card is Iris coloured Foundation card from Creative Expressions. Why don't you give this challenge a go, my Teamies have put up some wonderful inspiration up using so many different types of crafting so it really is anything goes as long as it is Fussy and Fancy. you can find more details here and I really look forward to seeing your entries. Hi Annie...hope this finds you well!! 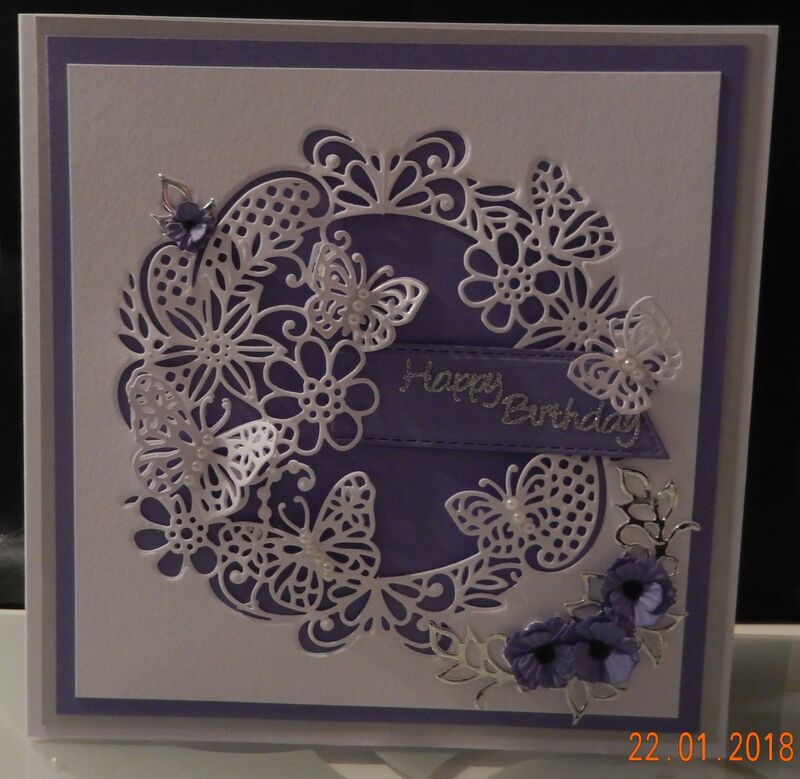 What a beautiful card...I love the intricate lacey design...thanks for choosing one of my favourite themes for this challenge! Wishing you a most wonderful weekend!